The cancellation of the opening event in last month’s Borgata Winter Poker Open due to the introduction of counterfeit chips by a cheating player continues to produce new complications, the latest being Friday’s filing of a class-action lawsuit by one of the other participants in the ill-fated tourney, alleging negligence in the operation of the tournament by the hosting Borgata, in Atlantic City, New Jersey. The lawsuit was filed by New Jersey attorney Bruce Li Causi on behalf of Jacob Musterel, another of the 4,824 players who participated in the $560 buy-in tourney, the largest by player count on the slate. The event was canceled by New Jersey Division of Gaming Enforcement (DGE) regulators early on January 17th, the event’s Day 3, after the discovery of 160 counterfeit chips, each with a tournament “5,000” value. Though a huge amount relative to each individual player’s starting stack, the sum of the counterfeits’ value added up to less than 1% of the total chips in play. By the start of the event’s Day 3, Borgata officials had been alerted to the discovery of nearly 600 additional fake chips by casino staff at the nearby Harrah’s Atlantic City, after the flushing of hundreds of the fakes caused plumbing problems in the Harrah’s hotel. The plumbing was traced to a single room rented by Christian Lusardi, who emerged as the Day 1C and overall tourney leader with 519,000 chips. Lusardi was eliminated late on Day 2, cashing for nearly $7,000. Soon after, following a review of security tapes by Borgata and New Jersey investigators, Lusardi was subsequently arrested at a Super 8 in Atlantic City. 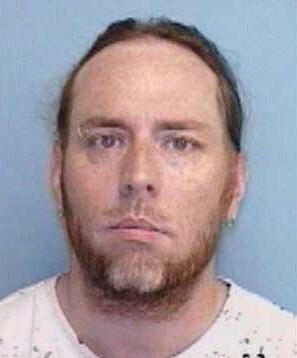 Lusardi remains jailed in New Jersey on $300,000 bind and was also recently charged in connection with a large-scale DVD-pirating operation being run out of his North Carolina home, via which authorities allege he grossed as much as $1 million in sales. The filing of the lawsuit by Li Causi and Musterel brings to reality one of several possible eventualities in matter. Li Causi quickly publicized the lawsuit’s filing, speaking with writers for the Press of Atlantic City and the New Jersey Law Review, among others. The lawsuit alleges that untold numbers of players were affected by the “ripple effect” caused by the distribution of the fake chips throughout the Day 1C and Day 2 flights. Li Causi’s quotes to New Jersey media outlets represent an open appeal for other players to join the lawsuit, though Musterel, of Egg Harbor Township in the state, is the only plaintiff listed as of the case’s initial filing. The case is complicated by the fact that play was frozen by the DGE regulators upon discovery of the fake chips, and was officially cancelled soon after. The Borgata seemingly also communicated with several online databases that record poker-tourney results, with the intended effect of wiping the defrauded tourney from long-term records. New Jersey regulators and the Borgata must also reach a final disposition of prize money. When cancelled, 27 players remained alive in the event, and more than $1.4 in prize money — roughly 60% of the event’s total purse — had yet to be awarded. The Musterel lawsuit alleges that players who were eliminated earlier in the event are also entitled to refunds and possible damages because of the unfair play, though Lusardi played only in the Day 1C and Day 2 sessions, meaning that players knocked out during the Day 1A and 1B flights had no direct chance of being at a table with the Lusardi-introduced chips. Nonetheless, roughly half the 4,824-player field could claim being affected by Lusardi’s actions, combining the 600 or Day 1A and 1B survivors with all of the Day 1C entrants, even if only a small percentage of those players actually fared off against Lusardi at the tables. Determining whether other players were positively or negatively affected on an individual basis is likely to prove impossible to determine, and a hand-by-hand reconstruction of the entire tournament impossible to reconstruct. Given that Lusardi’s chips were likely surreptitiously added throughout Day 1C and Day 2 play, and that as tables broke, players were shuffled to other tables, no mechanism for tracking real damages on an individual basis for all players could exist. An example of how quickly the ripple effect present in tournament play moves chips around comes from the 2006 WSOP Main Event, when Kevin O’Donnell erroneously and unknowingly received 2,000,000 extra chips (in large denominations) during a chip-up at a break when 27 players remained. However, O’Donnell quickly busted in the tourney to Allen Cunningham, who became the indirect beneficiary of the error without any actual involvement in the mistake. Cunningham himself was eliminated at the final table by Jamie Gold, the eventual winner. It’s that sort of “butterfly” effect that makes the class-action case a difficult matter in which to assess damages — if indeed the Borgata was to lose the case. Borgata officials and legal counsel declined to comment on the lawsuit for the New Jersey media outlets who were notified of the case’s filing. Similarly, those reports on the Musterel case’s filing omit any mention of Musterel’s own playing history in the counterfeit-fouled Borgata event, including whether he participated in the Day 1C or Day 2 action where the alleged “ripple effect” directly occurred. Musterel has only minimal tournament cashes in recent years, though a deeper search of online records shows several other small cashes in East Coast events.